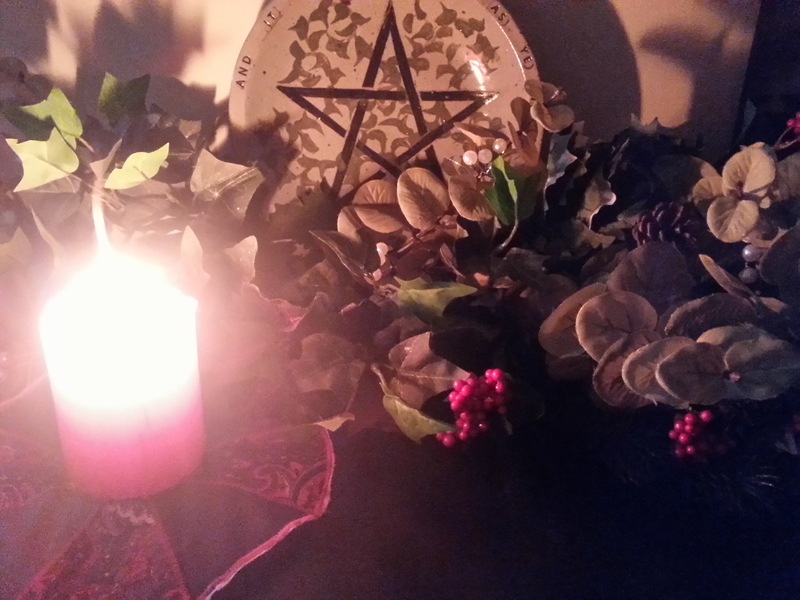 As those of us in the Northern Hemisphere prepare for the longest night of the year, I take this moment to share with you my Winter Solstice altar for this year. If you look carefully, you will notice that all three of the sacred plants of Yule are represented – holly, ivy, and mistletoe. In the midst of the hustle and bustle of the season, comes a moment when it seems like time stands still for all of us, and a hush comes over the earth, bringing a moment of quiet contemplation as we look back over the past year, and look forward with bright anticipation to the promises of the new year. It is that moment of silence, when we await the return of the sun, that lies at the heart of the Winter Solstice…and it is in celebration of such that I wish all of my Crossroads readers a most joyous holiday season.